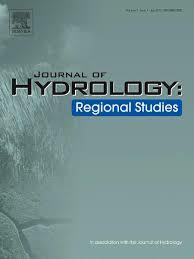 The Journal of Hydrology: Regional Studies, has published a special issue dedicated to 'International Shared Aquifer Resources Assessment and Management'. This special issue, edited by Dr. Alfonso Rivera and Prof. Lucila Candela contains an editorial and 11 articles that focus either on global trends or on a specific region (Africa, Americas, Asia or Europe). IGRAC contributed to the article on 'Transboundary aquifers of Africa: Review of the current state of knowledge and progress towards sustainable development and management'. All articles are open access and can be downloaded via de links below. This special issue is on the recent contributions to the ISARM initiative. ‘Legal frameworks for the governance of international transboundary aquifers: Pre- and post-ISARM experience’, by: Stefano Burchi.